Fresh off yesterday’s successful Marseille post I am back for at least one more ‘ride’ before I have to start to ‘train’. There is still hope for more photos though – the phlegm keeps coming up from time to time. 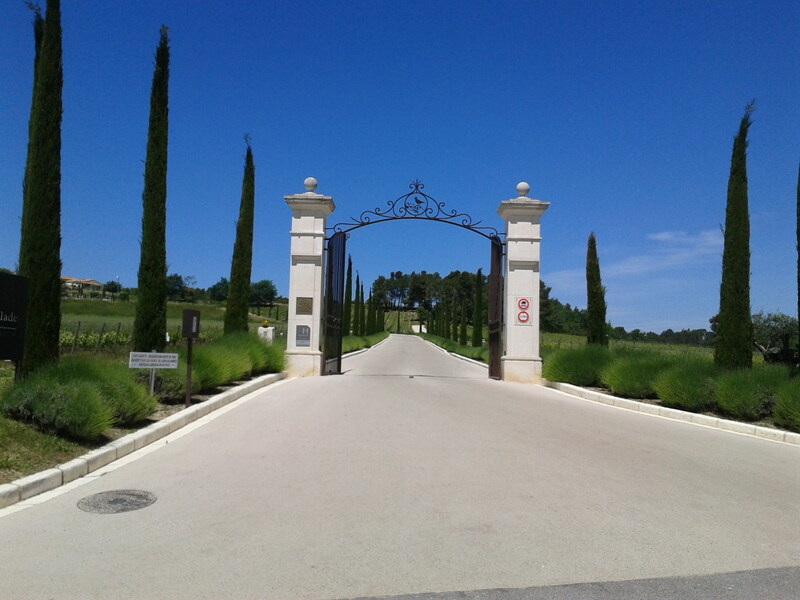 I have two groups of Americans coming over in a few weeks for a one-day Provence ride, so today I went over to the Luberon to reconn the roads a bit. 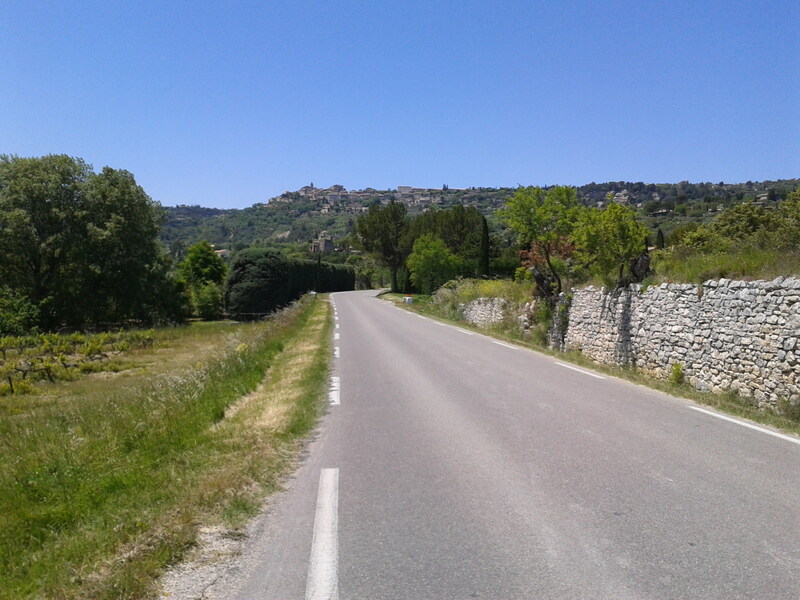 The results will be fabulous, if I don’t say so myself, but it’s hard to screw it up in the Luberon when it comes to cycling bliss. Both tours will start and end here, a secret, exclusive location whose only clue is the small, black bird in the ironwork on the gate. If you guess it, you: a) have been reading my blog articles in very good detail, or b) you know far too many esoteric things about a certain sport. The direction hasn’t been determined, but I know my clients will get this view, one way or the other. 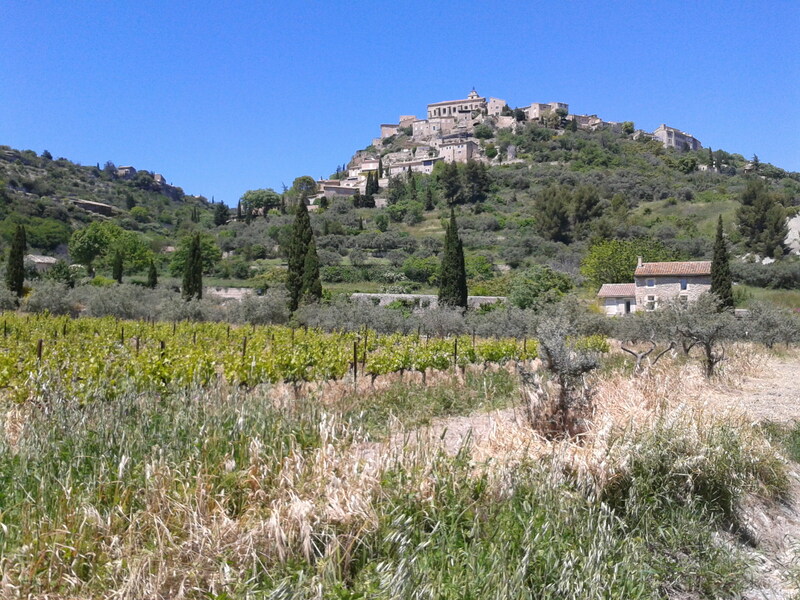 This is the village of Lacoste, looking across the valley from Bonnieux. 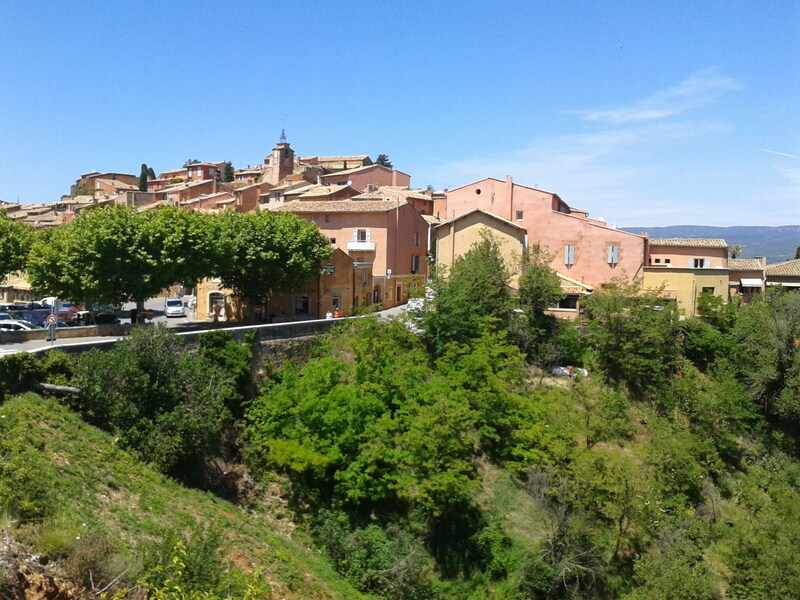 This one remains to be seen, but if I can convince my groups that the climb will definitely be worth the effort, we’ll be riding up to Roussillon for sure. And then riding down. I doubt they’ll get the same flowers at the end of June, but I’m sure it’ll still look nice. 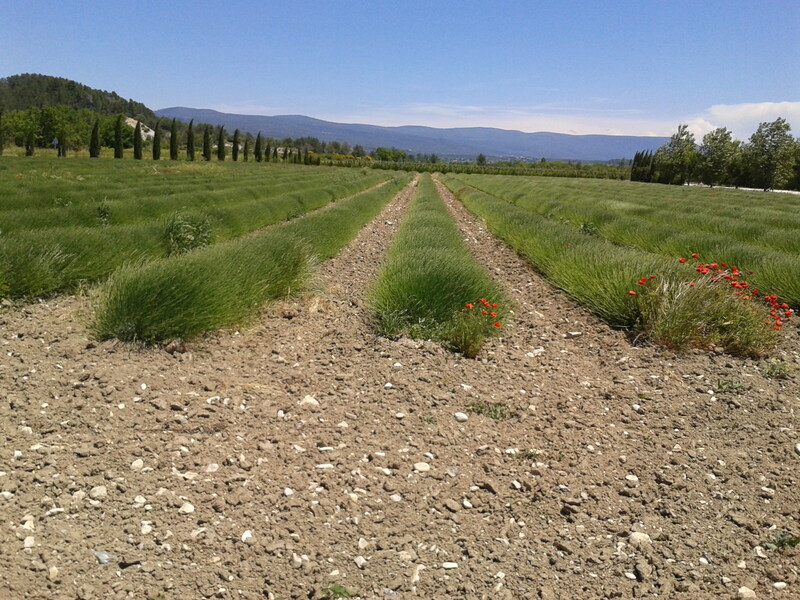 They might, however, get a touch of purple, if the lavender decides to come out at the right time of the year. This much-photographed field is just outside our next village on the tour. Which is, of course, Gordes. 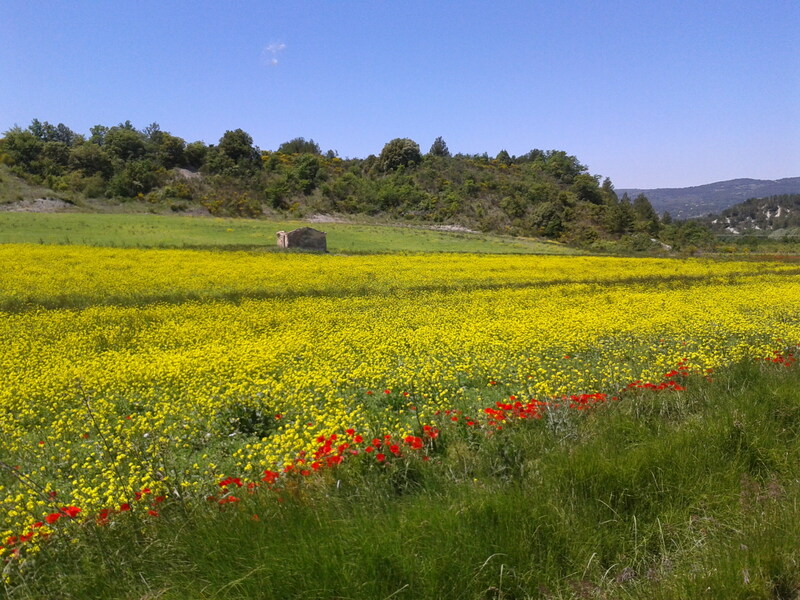 One of the most beautiful villages in France, my clients will have to admire it from afar. Neither group wants too much climbing. Good thing it’s still got some mojo from down below, too (even with the crappy color from my phone)! 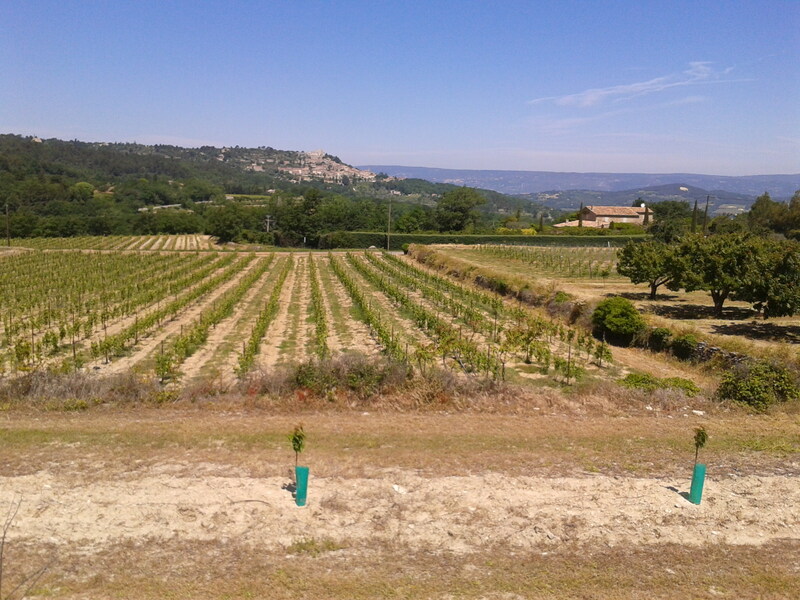 Finally, an excellent mixed-use trail, which runs a long way through the Luberon, will take them back to their cars, a vineyard walk and some wine tasting. That doesn’t sound too bad, does it? 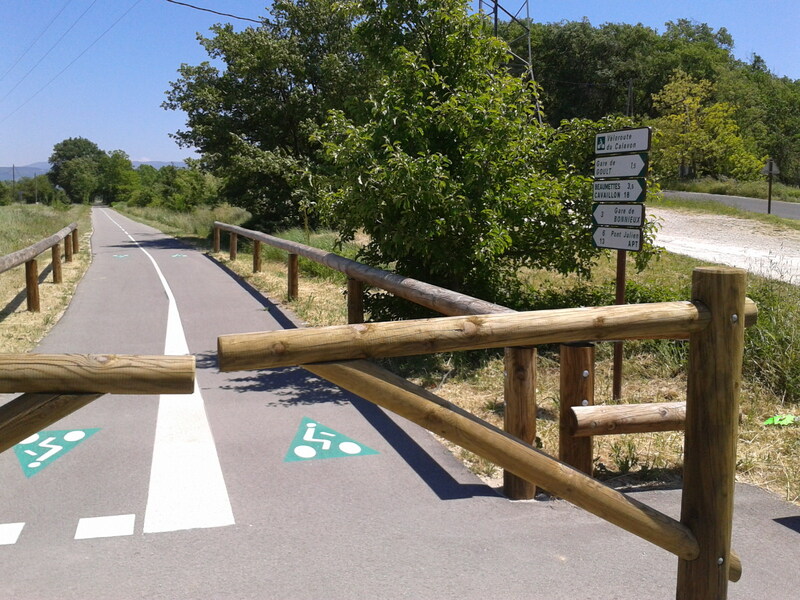 This entry was posted in Cycling and tagged cycling languedoc guided tours. Bookmark the permalink. Brings back memories from my first trip … it is just so beautiful there, the roads not crowded, the cycling relatively flat (don’t tell my husband I said that) … Actually, I can say the just so beautiful piece pretty much wherever your “there” is! Yes, the ‘flat’ part has me a bit concerned for my groups. I hope they don’t mind a little elevation. Breathtaking. I envy you and your clients (and Suze too!). After HR next year, Aaron. It’s just down the road! I’m sure you’ll come back even more ‘Stevo’ than before. Get well. If it’s anything like mine, it’ll last a week at least. ok..I give up..where is that iron gate? La Coquillade. Owned by a certain stinking rich Swiss gentleman who also owns a cycling team…and a couple of bike companies…among other things. It sure is. And not yet overrun by tourists. Good time to ride.